2018 is a landmark year of growth for Impact Seed as demand for our services across the spectrum increases. Consequently, we’re seeking expressions of interest for a Consultant to support across several areas of work and support growth in our strategic focus areas. 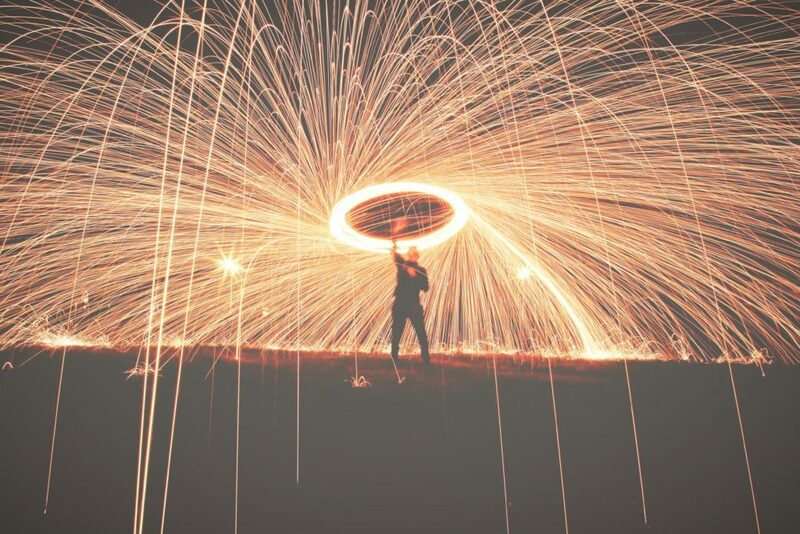 If you know someone with deep knowledge & experience across the WA community services sector, preferably a systems thinker also with business, social enterprise and finance experience, then send them our way. This is a true generalist role – one of a kind in WA. 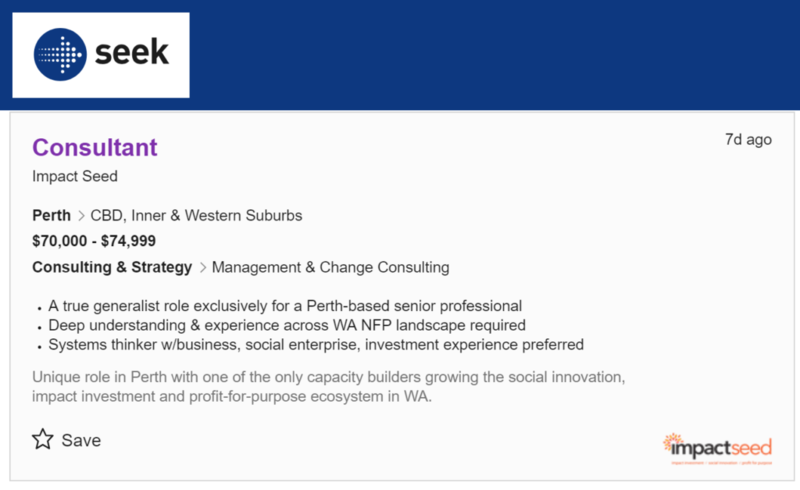 This role is one of a kind in Western Australia and the ideal candidate will hit the ground running with the direct support and guidance of the founders and directors of one of the first and only organisations growing the social innovation, impact investment, and profit for purpose ecosystems in our state. Click here for details on this opportunity. Due to time constraints discussions and meetings will be by formal applications received only. Our vision is to develop a thriving and innovative impact investment and social enterprise market in WA that leverages this state’s greatest strengths, which include its natural and geographical advantages, a resources rich public and private investment sector, and exceptional entrepreneurial talent. We’ll make sure it’s always relevant, original and interesting and we will never spam you or add you to other lists!